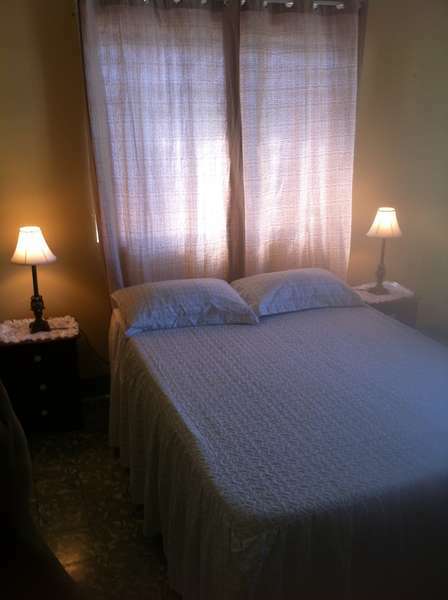 We are a family owned business,there is 4 bedrooms with 2 shared bathrooms a shared kitchen and living area. 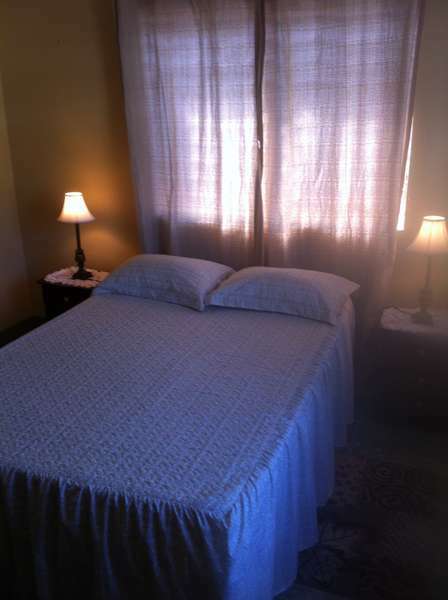 Each room has 1 double bed, single bed,a huge fan,night table with night lamps,hangers,closet,mirror. 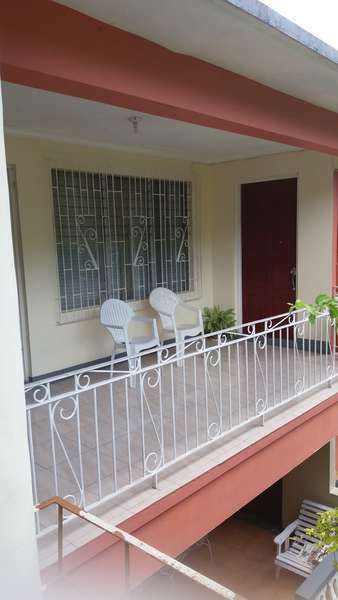 A fully equipped kitchen,stove,refridgerator,microwave,coffee pot,pots,plates,ect. Cable TV with free WIFI. Laundry services available (surcharge).There are also tours available to places like Dunns River Falls,Negril 7 miles beaches and Ricks Cafe,Hampsden Rum Tour,our staff is more than willing to help put together your tour if requested. Dream Hostel Guesthouse has a relaxing atmosphere. After leaving the airport,head North,turn left at roundabout. Take the 1st exit,at the roundabout take the 2nd exit. Continue unto Queen's Drive,take a slight left onto St James St go through 3 stop lights till you come to the roundaboutthat is Sam Sharpe Square;take the right at the stop light and continue on St James St. Turn left at the second to last stop light on St James St. This will take you to Creek Street continue straight unto Humber Ave stay to the right. Keep going straight till you come to a roundabout there will be the Hospital sign and Welcome To Mount Salem,take the left and come up the hill. After passing the View Guesthouse on your right,take the next right unto Catherine Drive. Keep going straight do not turn off anywhere. There is a green container on the left we are the 9 th house on the right our lot number is 27. 1 night will be charged full if guest fail to cancel 2 days prior to arrival. In the event of a No Show 1 night will be charged in full. We do not accept persons under 16 years of age,we accept groups of 5-10 persons,pets are not allowed,we cannot accommodate children at the moment,your identification will be requested upon arrival.